So you’ve got a German Shepherd or are you looking to get a puppy? I don’t blame you, there aren’t many things cuter than a German Shepherd puppy. Recently, I took my son to a pet store and he had the cutest interaction with a German Shepherd puppy. I’ve had a chat with the store owner about dog foods in general and the best German Shepherd puppy food available on the market today. You guessed it! it gave me my next article idea. In this article, I will discuss a great German Shepherd puppy food as well as one of the best dog food brands in the industry. When it comes to great dog food brand’s, Wellness CORE comes to mind. 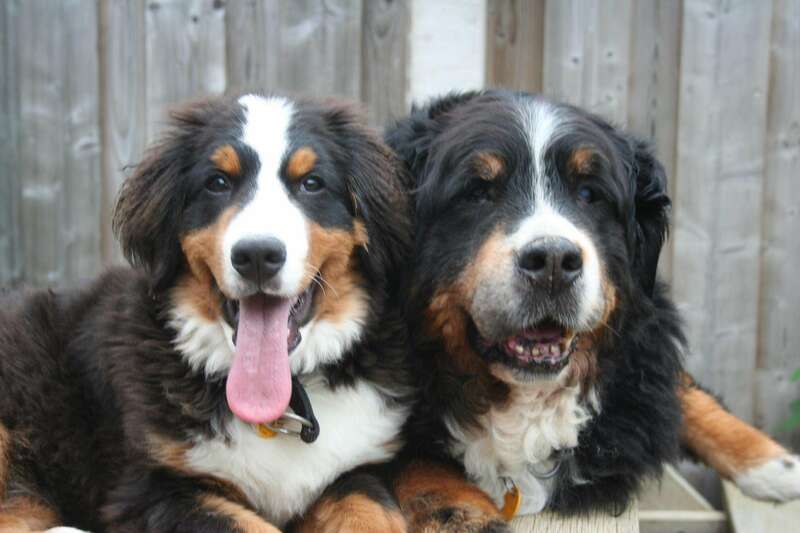 Wellness CORE develops dog foods specifically for adult dogs as well as puppies. Wellness CORE Natural Grain Free dog food is my recommended feed for German shepherd dogs and puppies. German Shepherd puppies will grow into adults weighing around 90 pounds therefore a great grain free diet is important for their optimal growth. Grain free is the way to go, if you want to stay away from fillers that add very little nutritional value to your dog’s diet. A grain free dog food such as Wellness CORE doesn’t add gluten to your dog’s diet. Gluten can cause so many health problems for dogs especially if your dog is already allergy prone. German Shepherds are generally hungry breeds even while they are puppies. Wellness CORE makes a few different varieties of their natural grain free line of dog foods to satisfy any dog’s hunger. According to dog food reviews, the Wellness CORE Original Turkey & Chicken formula was liked by many German Shepherd dogs. Many dog owners have said, they found this dog food to reduce flatulence in their dogs. Hell! I will buy this dog food just for that one reason. Sadly, German Shepherds are one of those breeds prone to Hip Dysplasia, a genetic condition that affects a dog’s joint function. Thankfully, Wellness CORE also makes a reduced fat line of their grain free dog food which will help curb the weight of dogs that suffer from joint problems. They also include glucosamine in their reduced fat option which is an amino sugar supplement that promotes healthy joint function. I highly suggest you buy the Wellness CORE Puppy Formula as it is formulated specifically for growing puppies. 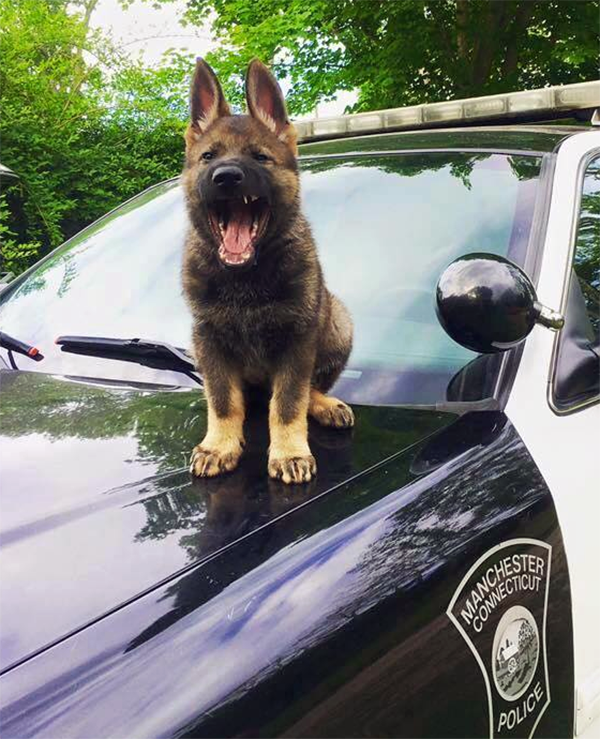 The added DHA helps with proper brain and eye development during the early development stages of your German Shepherd puppy. 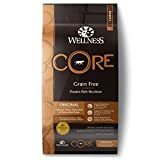 I recommend Wellness CORE to be one of the best German Shepherd puppy food available for many reasons; first they are made in the United States so that you can be rest assured that you are not buying Chinese imported junk. Secondly, their puppy formula provides optimal nutrition for growing German Shepherd puppies. Their grain free formula contains 7% fiber content which is important especially during potty training stages of your puppy’s life. You don’t want to make your puppy’s and your life more miserable that it already is during the potty training stage. Wellness CORE grain free formula also helps dogs with sensitive stomachs as well as dogs with allergies. If your dog or puppy has been suffering from allergies, you should see noticeable improvement in your puppy’s health & energy levels after switching to Wellness CORE grain free. Wellness CORE grain free dog food is highly palatable so even those finicky eaters will keep eating. Go with the Ocean Whitefish, Herring & Salmon formula if you have a show dog or want the best skin/coat possible. 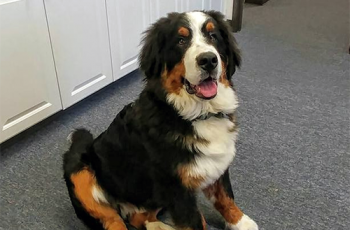 As always, thank you for visiting our blog and be sure to share your dog’s story with us on our Facebook group at Canine Owners – Mixed & Purebreds. I think any formula that reduces flatulence and helps allergic puppies will be the best food for all dogs. Thanks for sharing this review.